One of the highlights of the Retail Manager POS stock system is it's ability to handle multiple pack size sell points. eg. Single, Six Pack and Carton whilst still maintaining accurate stock levels. In addition, stock bundles / recipes are controlled by allowing multiple stock items to be linked to a single PLU / Barcode eg. Christmas Food Hamper. 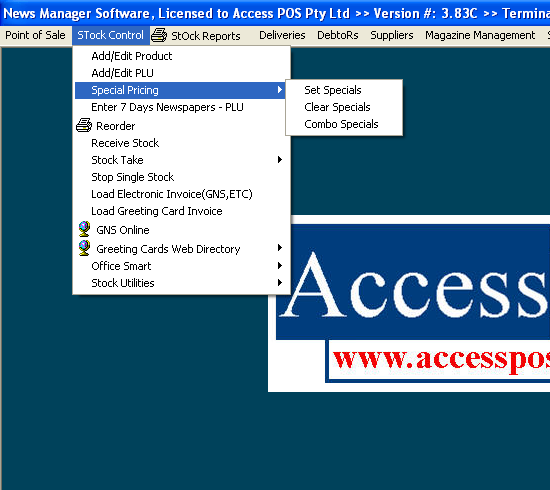 These specialised stock features stand the Retail Manager POS Stock Control system apart from most other POS software packages. 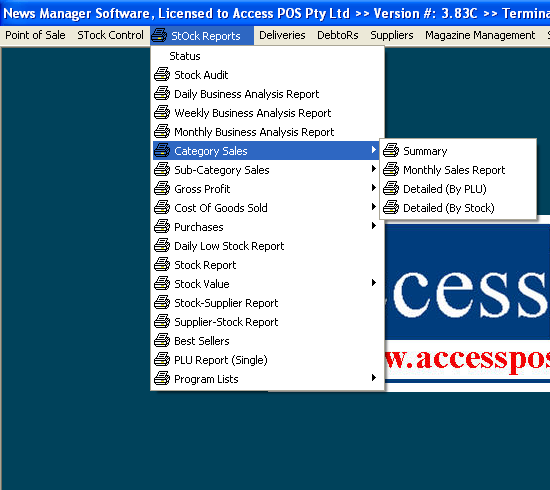 Stocktaking can be performed from either manual stock take sheets or via a PDE (Portable Data Entry) terminal. The PDE terminal allows you to simply scan items off the shelf, enter the count then electronically transfer into the Retail Manager POS Stock Control Software. Retail Manager POS Stock Control offers a complete range of stock, sales and audit reporting, most with date range and "drill down" filtering. The comprehensive list of reports will give you current and relevant information that will assist your business decision making. 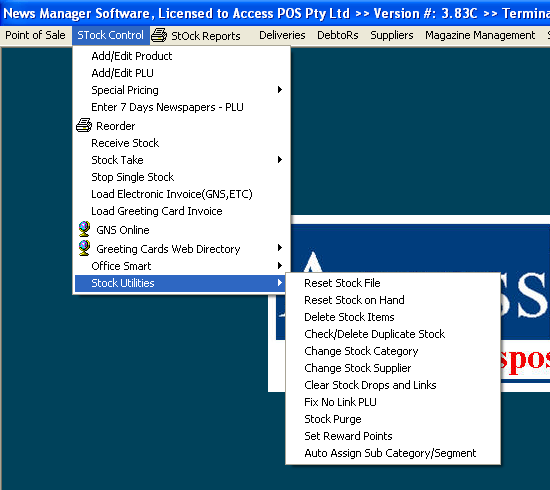 As part of the Retail Manager POS Stock Control system, is a fully featured suppliers module which will ensure you know to whom and how much you owe. Keeping tight control over supplier invoices and payments will reduce the risk of costly errors. 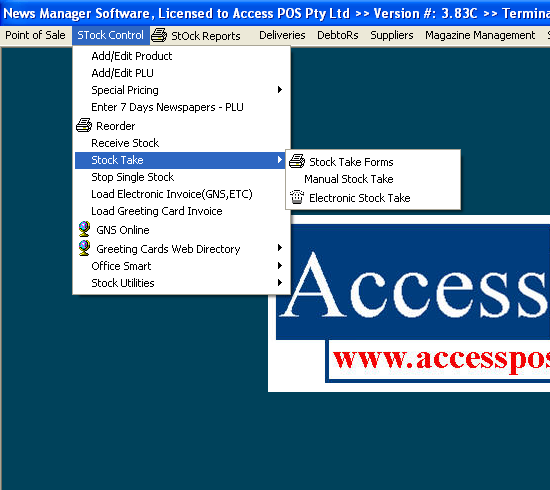 You can not purchase the Retail Manager POS Stock Control add-on as "stand-alone" ie. You must already have purchased the core Retail Manager POS Software license or you can purchase the Stock Control Software add-on at the same time as the core Retail Manager POS Software product.